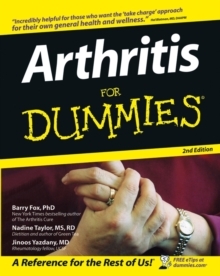 "Arthritis For Dummies" is a book for the millions who suffer from chronic joint conditions classified under arthritis looking for lasting relief. 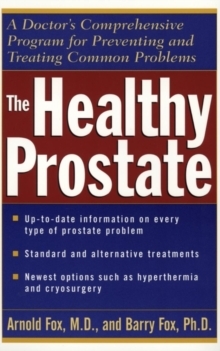 It's a friendly, hands-on guide that gives the latest information available on the many techniques for managing the disease and controlling the symptoms so that arthritis sufferers can get on with life. 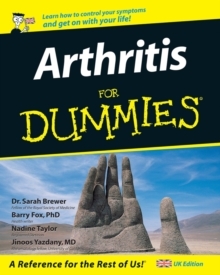 It features expert advice to help readers manage arthritis, slow down its progression, and enjoy life to the full. 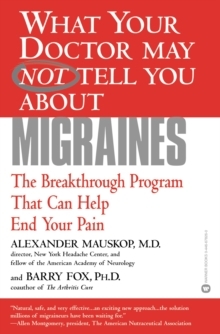 It includes diet, exercise, and self-care advice designed to protect and soothe joints, as well as the latest on coping with stress, anger and depression and making positive lifestyle changes. Topics covered include: The different types of arthritis; Diagnosing the condition; Alleviating symptoms and minimizing pain; Eating to beat arthritis; Both conventional and drug free ways of managing the condition; and, Living day-to-day with arthritis and improving lifestyle.